Little (and I mean little) toys for the center. 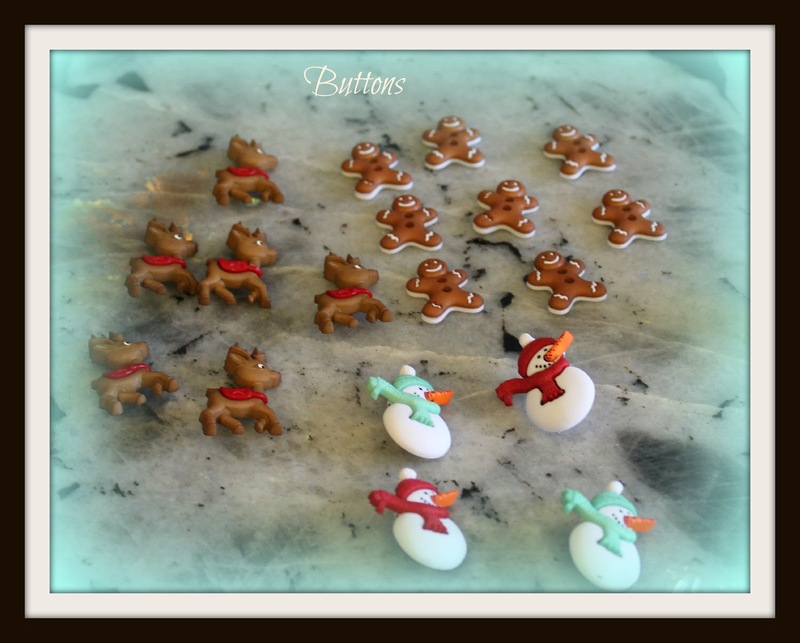 I used mini Christmas buttons...make sure whatever you choose doesn't have really sharp edges. First you want to break up your clear glycerin soap block. Put soap in a pot and melt over medium heat, stirring constantly. 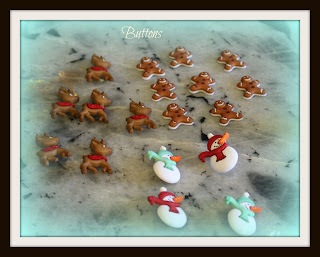 Once melted, add your coloring and soap scent. 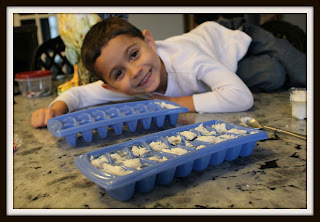 Pour melted soap into your ice cube trays about 3/4 full. Gently push your center decorations into the soap, upside down. * I should add that before you melt your clear soap, you will want to grate your white soap (my son used a spoon) and set aside. 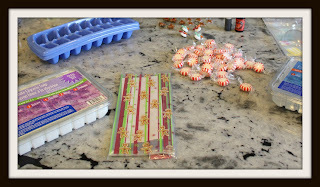 * Once you add your center deco, sprinkle the white soap on top of the clear soap. carefully pop the ice cube trays in the freezer to set. After they set, pop out of the tray and your done. We wrapped ours in cello bags to give away as gifts. 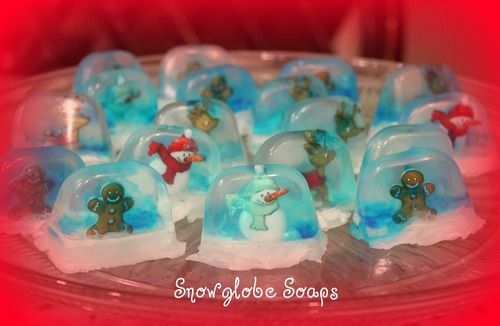 I had intended to smooth out the bottom of my soap once they set but we decided we liked the rough edges because it looked more, snow-like. FANTASTIC idea!!!!!! I love it.. I AM going to do this with the big girls. Oh my they will be so happy and so proud. What fun! Glad I read your post bout it on CM!!! You can put a dot of the clear tinted soap in the bottom of your mold and press the tip of your toy into it to anchor it before you fill it the rest of the way. That way they won't go floating around in the "globe"